Our approach to surgery integrates both body and mind. Our guiding principle is to treat you with the utmost respect, help you make an educated decision, and to provide you with the finest medical services in the safest, most professional and comfortable environment. Dr. Irene Tower specializes in the latest surgical techniques for body reshaping, breast enhancement, and facial rejuvenation. As a female cosmetic surgeon and a mom, Dr. Tower personally understands the tolls that aging, childbearing, and stress can take on the body, and she is passionate about helping patients feel comfortable and confident in their appearance at any age. 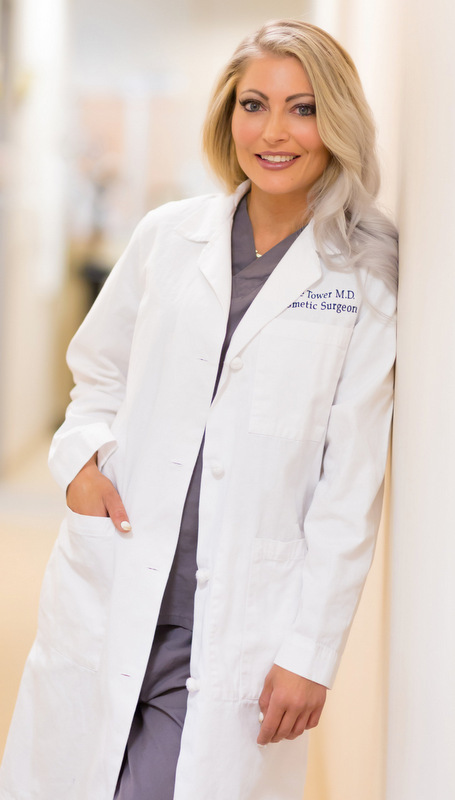 Deeply devoted to helping her patients enjoy optimal results lasting benefits after their procedures, Dr. Tower incorporates the art of exercise, nutrition, and healthy lifestyle habits into her treatment plans. Dr. Tower has become one of the most sought-after cosmetic surgeons in the Inland Empire for body contouring, both after weight loss and for fitness-minded patients who desire the detailed sculpting that diet and exercise alone cannot achieve. Read more about Dr. Tower's education, experience, and practice philosophy here.